History has a weight, a specific gravity. As travelers, we seek out destinations that feel heavy, that impress us with their endurance and their power. The following destinations are my picks for the heaviest history destinations in the world. Your first approach to the massive temple of Angkor Wat will be an awe-inspiring experience. The sheer scale and striking symmetry of the towers is staggering. The best thing about Angkor, though, is that the temple complex is huge, so you will have no trouble finding moments of solitude amongst the ruins. Don’t miss the rest of Cambodia, though – it’s far and away my favorite country in Southeast Asia. Varanasi is an ancient and sacred city on the banks of the Ganges in northern India. 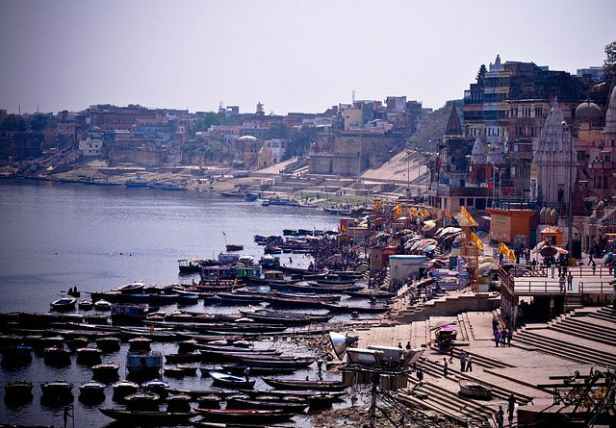 Home to hundreds of temples and shrines, Varanasi attracts religious pilgrims from across India and around the world, some of whom come to the city at the end of their life so that they can be cremated in one of the ghats by the river. Varanasi is a destination for seasoned travelers with strong stomachs. I got awfully sick there, as have many travelers before me, but I don’t regret a moment of my journey. 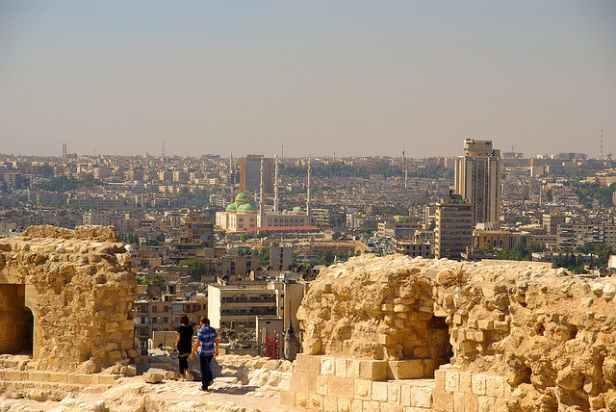 Aleppo, a medium sized city in northern Syria, is one of the oldest continually inhabited cities in the world. My favorite places in Aleppo are the hilltop Citadel, an imposing fortress in the center of the city, and the twisting alleyways of the Christian quarter. One of the best souks, or marketplaces, in the Middle East is in Aleppo, located just a short walk from the Citadel. Pick up some locally made soap in the souk – it’s made with olive oil and laurel – ingredients that haven’t changed since the Crusades. If I wasn’t so biased towards Asian destinations, Rome would probably be #1 on this list. There’s plenty of modern vibrancy in modern Rome, but the weight of its history as the imperial capital of the Roman Empire is felt on every street corner. The ancient ruins are impressive – don’t miss the Colosseum – but the most beautiful structures in Rome are from the Renaissance. One of the most striking examples of Renaissance architecture in Rome is San Pietro in Montorio, a church with a lovely tomb in its courtyard. Like Rome, Kyoto is a modern city, but the past is never far from view. There are striking old buildings in Kyoto, like the Golden Pavillion, and there are immense temples, like Kiyomizu-dera, but history in Kyoto is more about an intangible sense of grace than any particular building. 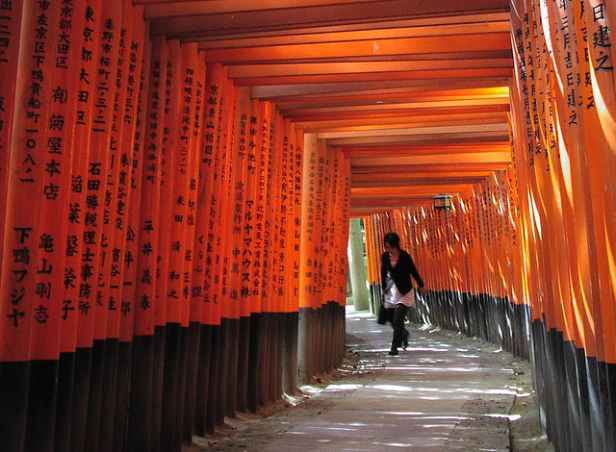 My favorite spot in Kyoto is Fushimi Inari, a network of shrines on a mountainside near the old city, where you can walk through thousands of red torii gates that were an inspiration for Christo and Jean-Claude’s notorious public art display “The Gates” in Central Park. Traveling in Bhutan can feel like stepping back in time. The tiny Himalayan nation is geographically isolated, and the government has prioritized the preservation of traditional culture. Some say the government’s policies are fascist and repressive, while others applaud innovative measures like Gross National Happiness, but regardless, Bhutan’s historical sites are incredibly well preserved. 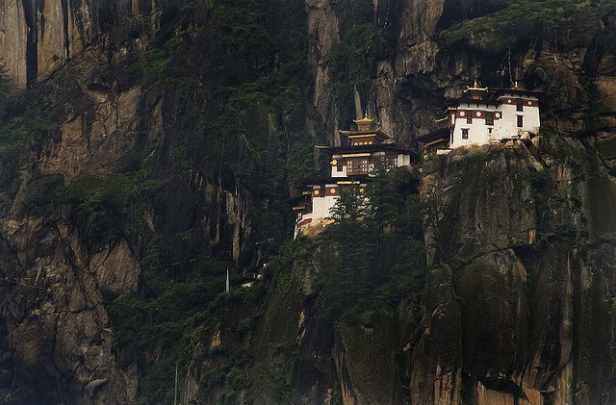 Tiger’s Nest, a temple hanging onto the edge of a cliff not far from the town of Paro, is justifiably the most famous historical destinations in Bhutan. I haven’t seen Machu Picchu myself, but a good friend once assured me that Tiger’s Nest and Machu Picchu are the two places in the world where human endeavor and natural beauty combine to produce something utterly sublime. Machu Picchu has been thoroughly discovered at this point, so you’ll have to travel smart in order to avoid hordes of your fellow tourists, but it truly is one place all travelers should make a point of visiting at least once in their lives. The landscapes of southern Jordan are stunning in and of themselves, but the ancient city of Petra deep in the desert canyons is like something out of a dream…or a movie. Movie fans will recognize parts of the ruins from the film Indiana Jones and the Last Crusades. Luang Prabang is a small city on the Mekong river in northern Laos. Over 35 Buddhist temples are located in the old town, but unlike the preserved ruins of other destinations, the temples of Luang Prabang are very much a functional element of Lao religious and community life. 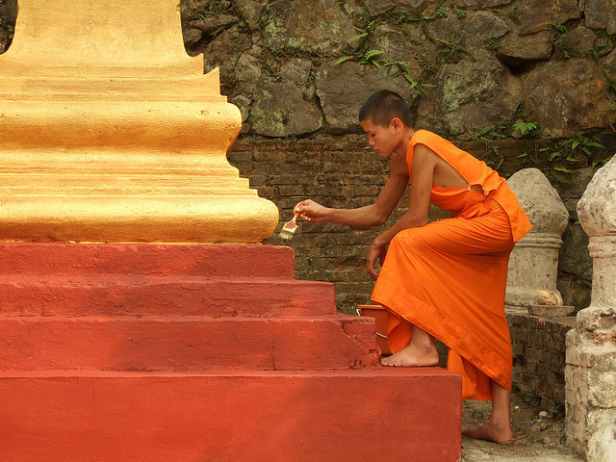 Try to visit Luang Prabang during a festival, although you’ll need to book lodging in advance. A trip to Kuang Si waterfall will be awesome, but pass up on the boat ride to the relatively unimpressive Buddha Caves near the Pak Ou confluence. I included Rome, so I have to include Greece. Athens has recently been beset by riots and political crisis, but the ruins of the ancient Greeks have survived a lot worse over the centuries. 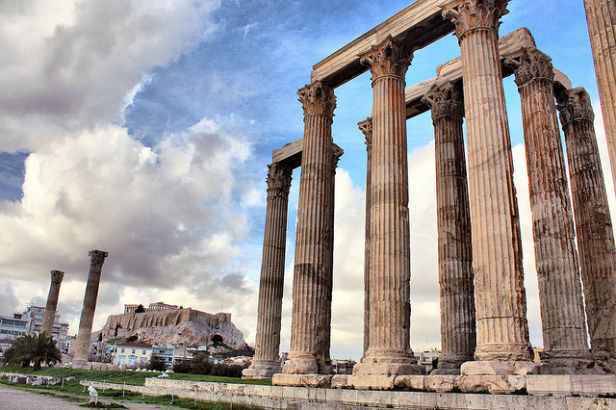 The Athens acropolis remains one of the most iconic historical sites in the world. What do you think of my choices? What destinations did I miss? Share your favorite history destination by leaving a comment below! If you liked this, you might also like: 9 Most Mathematically Interesting Buildings in the World. I like the article and love the photos you chose. Everywhere I go I seek out the historical places in those areas. From Castles in Prague, Spanish Forts in Manila to Mayan Temples. I’ve toured Hitlers Bunkers in Germany and Cliff Dwellings of the Pueblo Indians in Colorado. That is one of the things that makes travel interesting. I am surprised that you didn’t have Jerusalem on the list. I visited for the first time last year on a work trip and totally blown away with the history of the place. As one of my co-workers told me “no matter what your feelings are on religion, the walls of Jerusalem will speak to you”. Almost every religion and every country can be found to have a presence there. great list! 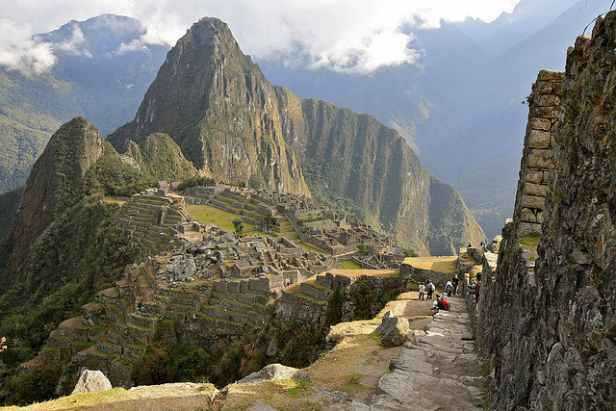 Machu Picchu is on my bucket list..need to get there soon! Very well done with some great pictures. We had the pleasure of visiting Rome last summer. The history is simply amazing! 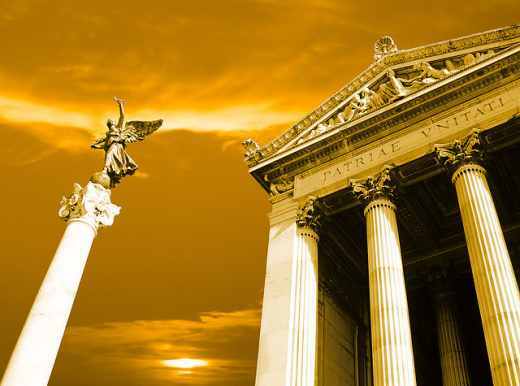 Turkey has more Greek and roman ruins than Italy and Greece combined. The while country screams history. Istanbul should have been in the too 10. Agree also that if allepo is there, Jerusalem should be too. Most of these are Ancient history, now perhaps you should move on to ten best medieval, Rennaissance, American (we’re such youngsters! ), etc. I was blown away by the evocative ruins of Richard the Lion Heart’s castle in France, Chateau Guillard, for instance. Agree with the previous commenters about Jerusalem belonging on the list! 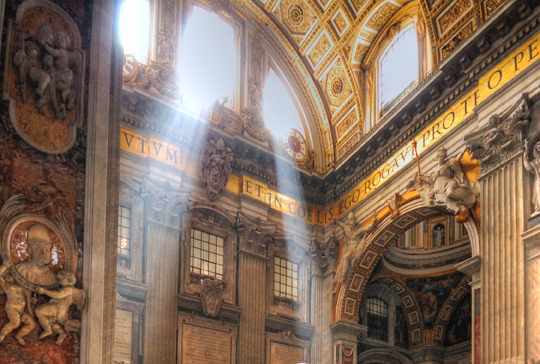 Of the places I have been so far, I would have to say I like Rome the best because it’s not just a visit to ancient ruins, but to many historical functioning churches, little cobblestone streets winding their way through old neighborhoods (by US standards), etc. I really liked Angkor Wat, but I wouldn’t need a week to see what I wanted to see. Turkey is definitely on my list – I have heard from several people that they thought it was more significant than Greece. Rome and Kyoto are my two faves – walking through the miles of torii gates in Kyoto is an incredible experience, as is seeing the Roman Forum. I’ll add in an English Castle – Bodiam or Leeds Castles are fascinating! Great collection of historic places to visit. Of course, there are so many others that could be mentioned but some of these were very refreshing – not ones you would think of first! Also, great photos. What about the pyramids or the Taj Mahal? I’ve been to Varanasi and it was a such an eye opener. So beautiful yet there are many sights that can shock you a little. I took one of those boats right up to Triveni Sangam which is where the three sacred rivers in India cross. It was special! 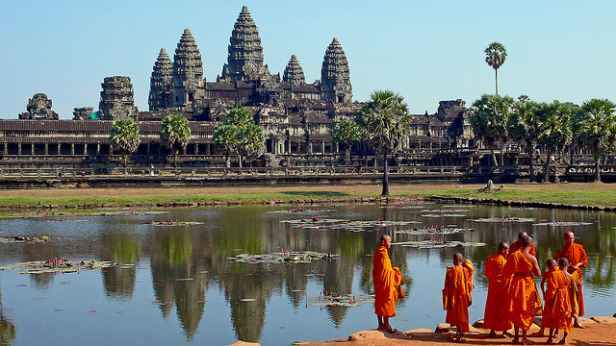 Recently I’ve had my eye on Cambodia, really hope I can go there soon! You missed Pompeii – has to be in my top 10.